Perhaps it’s the bright lights of the Big Apple, or maybe it’s the enchanted water of the Hudson River. For all we know, it could be the past Yankee legends giving the team a helping hand, like in Angels in the Outfield, or the chanting from the “Bleacher Creatures” out in the right-center field stands, providing inspiration for the Yanks. Whatever the case may be, the Yankees, who lost 4/5 of their Opening Day starting pitchers to the DL and were under .500 as recently as July 2, are still alive in the playoff hunt, trailing Toronto by half a game for the second Wild Card spot as of August 7. How have they actually done it? Let’s find out. 1. Tanaka Time — For $155 million over seven years, the Yankees landed what they projected to be a “strong number two starter.” Little did they know that Tanaka, former ace of the Rakuten Golden Eagles, would serve as the team’s savior prior to the All-Star break, as he went on to post a 12-4 record with a 2.51 ERA before landing on the DL with a potentially season-ending injury to his UCL. Rather than undergo Tommy John surgery, which definitely would have ended his season, he opted to receive a platelet-rich plasma injection and has been feeling better, according to recent reports. If healthy, Tanaka would certainly help the Yankees in September when they make their postseason push. 2. A Pinstriped Pen of Steel — Shawn Kelley has a .203 BAA and Adam Warren has allowed only one more hit (53) than strikeout (52) in his 56.1 innings pitched. Follow those two up with the 6’8″ 260 pound behemoth known as Dellin Betances, whose strikeout total matches his average fastball velocity of 100, and a closer who has converted 30/32 save opportunities in David Robertson, and there’s no question that the Yankee bullpen has been stronger than ever, even after its loss of the greatest closer of all-time, Mariano Rivera. 3. 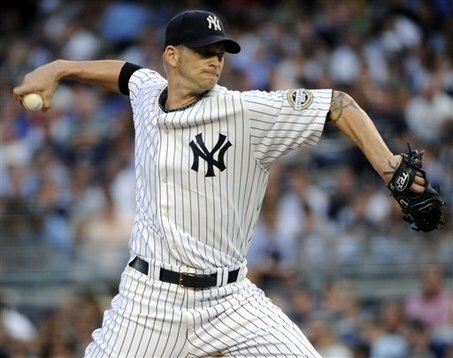 Hi, My Name is… — Brian Cashman deserves a tremendous amount of credit for the acquisitions of Brandon McCarthy, Chris Capuano, Chase Headley, and Martin Prado from teams in the NL West this season, though he probably did not envision them having the type of immediate impact they’ve had the past couple of weeks. McCarthy is 4-0 with a 2.08 ERA since donning the pinstripes, relying on his effective cutter to induce outs. Capuano has not yet won a game in a Yankee uniform, but in his three starts in New York, he has posted a 2.84 ERA and 17 strikeouts in 19 innings. Pretty good stuff for a guy who was acquired from the Rockies solely for cash considerations. On the offensive side of the ball, Chase Headley made an immediate impact on the team when he sent Yankee fans home with a win on July 21 over the Rangers with a 14th-inning walk-off single at midnight. In his 15 games as a Yankee, he has posted a .263/.323/.744 slash line and has solidified the third-base position with superb defense plays, such as this one here. Martin Prado was picked up from the Diamondbacks for catching prospect Peter O’Brien, and his versatility in the field has allowed the Yankees to play him in right and at third to cover for Headley on his off-days. An eight-year veteran, Prado has brought leadership and a strong knowledge of the game to the Bronx Bombers. Cuban-born stars José Fernandez and Yasiel Puig set the National League ablaze last season, coming in first and second in the NL Rookie of the Year voting, respectively. Their electricity on the field revitalized their teams’ fan bases and, in Puig’s case, he catapulted his team from last place in the NL West standings to first. In the Junior Circuit this year, two foreign-born players were neck-and-neck in the AL ROY race, before one of them went down with a rather unfortunate elbow injury. However, in this blog post, we will honor his efforts, as well as those of the rest of the Rookie Class of 2014. Shin-Soo Choo’s replacement in center, Billy Hamilton has given the Reds all they could have ever asked for in his first full season. 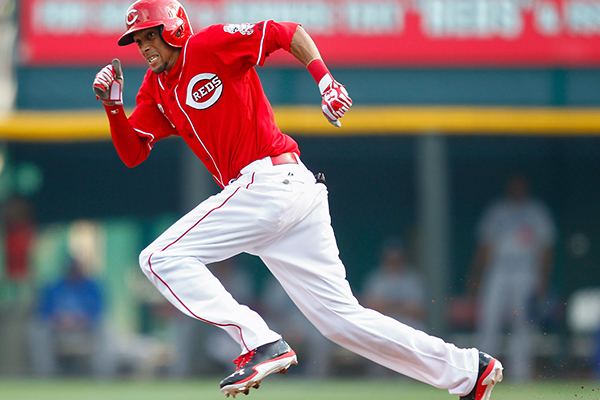 The speed demon leads NL Rookies in hits, RBI’s, runs scored, and stolen bases, and he has been a spark plug at the top of Cincinnati’s lineup. Marte. McCutchen. Polanco. Three young, dynamic outfielders that Pirates fans will have the pleasure of watching roam the PNC Park grass for the years to come. 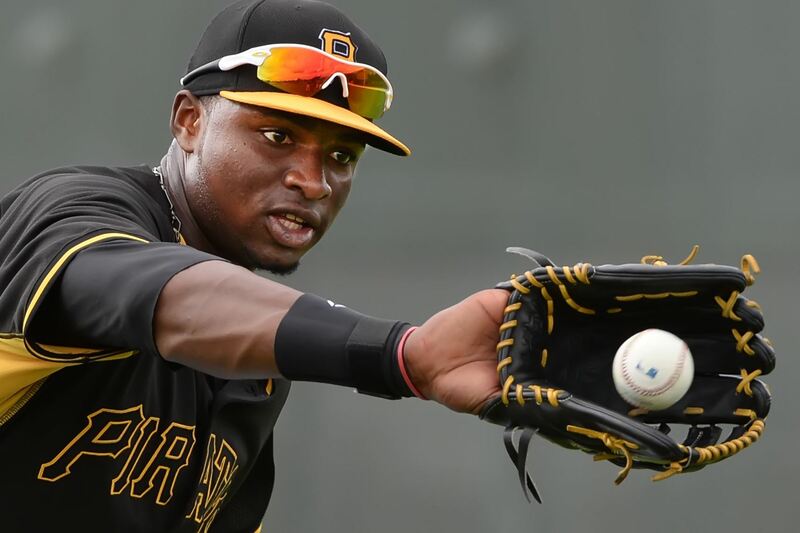 Polanco, a legitimate five-tool threat, has the potential to supersede the talents of his outfield partners and become the best player on the Buccos. “El Coffee” already has set the team record for the longest hit streak to begin a career (nine games) and will likely set many more over the course of his time in the Steel City. 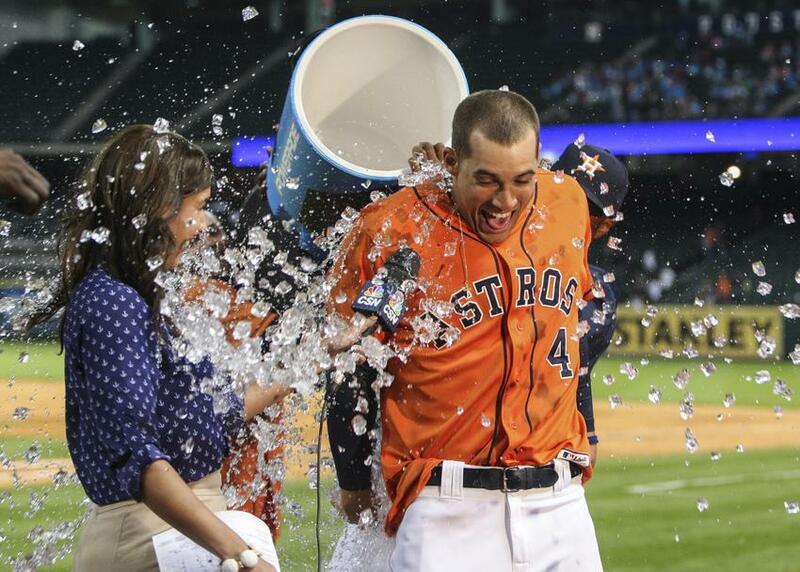 Called up on April 16 from Triple-A Oklahoma City to bolster a sagging Houston offense that ranked last in Batting Average, OPS, and Runs Per Game prior to his promotion, the 24-year-old Springer has been a dynamo in right for the Astros this season. Following a 2013 minor-league campaign in which he hit 37 homers and 108 RBI’s and also stole 45 bases between Double-A and Triple-A, Springer has carried that power-speed combination to the majors this year, hitting 20 homers and stealing five bases in 78 games thus far. Were it not for the cleanup hitter in this year’s “Rocking Rookies” starting lineup, he would certainly be under serious consideration for the AL ROY. 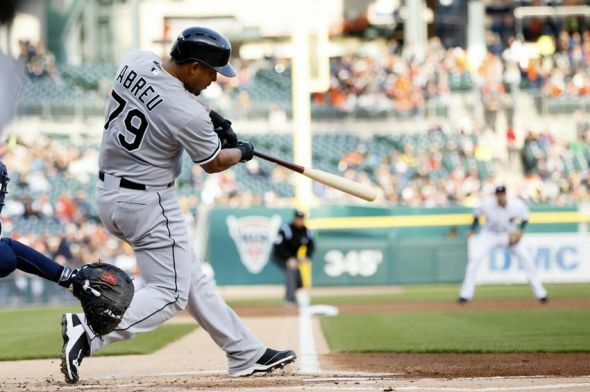 For $68 million over six years, the Chicago White Sox made arguably the best free-agent pickup of the offseason in signing José Dariel Abreu, a feared power slugger who set first-half rookie records in both home runs (29) and total bases (203) this season. He is currently on pace to match Mark McGwire’s rookie single-season home run record (49) and been a source of hope for White Sox fans in an otherwise lost season. In today’s classic matchup of AL East young studs, Masahiro Tanaka of the Yankees takes on Marcus Stroman of the Blue Jays. Prior to suffering a partially torn UCL injury, Tanaka posted a 12-4 record with a 2.51 ERA, single-handedly carrying the Yankees through the first half and placing himself in serious consideration for the AL ROY. The Blue Jays’ 2012 first-round draft pick, Stroman initially was called up on May 4 as a reliever, but after several poor outings, he was sent back down to AAA Las Vegas ten days later. On May 31, he returned to the big leagues as a starter and recorded his second career victory, pitching six innings of one-run ball against the Kansas City Royals. During his stay in the rotation, he has lowered his ERA to a mere 3.21, throwing quality starts in eight out of his ten outings. Despite standing at a less than imposing 5’9″, Marcus Stroman has demonstrated that “Height Doesn’t Measure Heart,” or “HDMH,” which is the clothing brand name that Stroman himself trademarked. (His merchandise can be purchased here). 1. Brock Holt (BOS-UT) — Aside from pitcher and catcher, Brock Holt has played each position on a baseball field for at least three games this season. To top that impressive feat, as of July 23, he was leading the Majors in hits since May 20 with 83, and he currently holds a .316 BA. 2. Nick Castellanos (DET-3B) — Castellanos’s biggest impact on the Tigers’ season thus far may actually have come before Opening Day even arrived, for Detroit dealt first baseman Prince Fielder to Texas for second baseman Ian Kinsler knowing this back-to-back AL MVP Miguel Cabrera would be able to slide over to first base with Castellanos waiting in the wings at third. Although his counting stats have been average (.268/.314/.405), he has been holding down the fort well at third for the Tigers and could follow a similar development pattern to Rockies’ third baseman Nolan Arenado. 3. Yordano Ventura (KC-SP) — Lights-out to begin the season, Ventura’s production has tapered off in recent months, but he has still proven to be very worthy of a spot in the Royals’ rotation. To go along with his height of 5’11”, Ventura features an overpowering fastball that hums in the high-90s, aptly drawing comparisons to his fellow countryman Pedro Martinez. 4. Kolten Wong (STL-2B) — After being nailed at first by a Koji Uehara pick-off move to end Game 4 of the 2013 World Series, Wong had nowhere to go but up this year for the Cards. The Hawaii native has provided speed (14 SB) and power (6 HR) to St. Louis in his inaugural campaign, and several 20-20 seasons certainly appear to be in his future. 5. 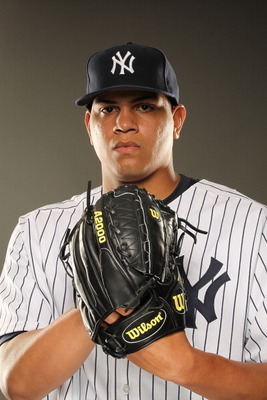 Dellin Betances (NYY-RP) — Though the Yankees brought in three noteworthy names in their Free Agent shopping spree last offseason, one of the biggest reasons they are still in the race has been the emergence of AL All-Star Dellin Betances. With a 1.43 ERA and 93 strikeouts, Betances has established himself as one of the premier setup men in all of baseball this season. 6. Xander Bogaerts (BOS-3B/SS) — In the offseason, he was touted by many analysts as the Red Sox’s top prospect and a potential AL ROY candidate. However, after posting a .304 BA as recently as June 3 and living up to the massive hype bestowed upon him, he has seemingly fallen off a statistical cliff the past two months, for his average has fallen more than 65 points (.237), and he has only four extra-base hits since that point. Though he still possesses a number of tools that made him an elite prospect for Boston, the team needs him to improve his offensive production to help prevent it from sputtering to a last-place finish in the AL East after winning the World Series just one year prior. 7. Jacob deGrom (NYM-SP) — His fiery mane of hair and overbearing physical appearance resembles that of Angels’ starter Jered Weaver, and in recent months, deGrom’s outings have resembled those of the Los Angeles of Anaheim ace as well. He holds a 1.37 ERA over his last seven starts and has put together a compelling NL ROY case for the Mets this season, recording 83 strikeouts and a 2.79 ERA in 87 innings. 8. Kevin Kiermaier (TB-OF) — A “heart and hustle” type player, Kiermaier has solidified the right field spot for the Rays, coupling his dynamic defense with an above average hit tool (.311 BA). Should he continue his strong rookie year performance, he could resemble a David Murphy type player for Tampa in the years to come. 9. Tommy La Stella (ATL-2B) — Following the abrupt demise of Dan Uggla’s ability to play baseball, La Stella has been a “stella” replacement for him at second base this year for the Braves. His style of play is reminiscent to that of Darwin Barney when he first broke the big leagues with the Cubs, as La Stella has hit for a solid average (.289) and posted sound defensive numbers (.989 FLD %) in his 60 games with Atlanta. 10. David Peralta (ARI-OF) — Peralta’s outstanding offense since his call-up on June 1 actually led to the narrow-exclusion of his Arizona rookie teammate, shortstop Chris Owings, from this list. Peralta has gotten on base at a .354 clip this season while also sporting a .832 OPS, and his emergence enabled the Diamondbacks to deal Gerardo Perra to the Brewers to strengthen their Minor League system. The professional development of prospects into rookies has the unparalleled ability to give fans of their organizations hope for the future, even when the teams on the Major League level are struggling. Just look at the Cubs and Astros, two perennial contenders for last-place in their respective divisions. Despite their lack of success, the upper management for each team has provided its fan base with a promise that the future will be brighter, citing the developments of top prospects as examples. As a Cubs fan, how could you not be excited about the possibility of an Anthony Rizzo, Javier Baez, Addison Russell, and Kris Bryant infield? From an Astros fan’s perspective, a potential rotation of Mark Appel, Mike Foltynewicz, and Lance McCullers, coupled with the heavy-hitting bats of Springer, Jon Singleton, Carlos Correa, and Domingo Santana sure does seem promising. Though an organization’s future potential shouldn’t serve as an excuse for the shortcomings of a big league club, it does certainly lessen the pains of a fan base when it seems that a team has a plan in place, such as the Cubs and Astros, as opposed to being seemingly content with dwelling in a middle-ground purgatory with an aging roster (see: Philadelphia Phillies). With that in mind, I’m calling Astros over the Cubs in 6 for the 2017 World Series. Now that the Cardinals’ miraculous comeback season has come to a close, its time to move onto the Yankees and their plan of attack in pursuit of title number 28. 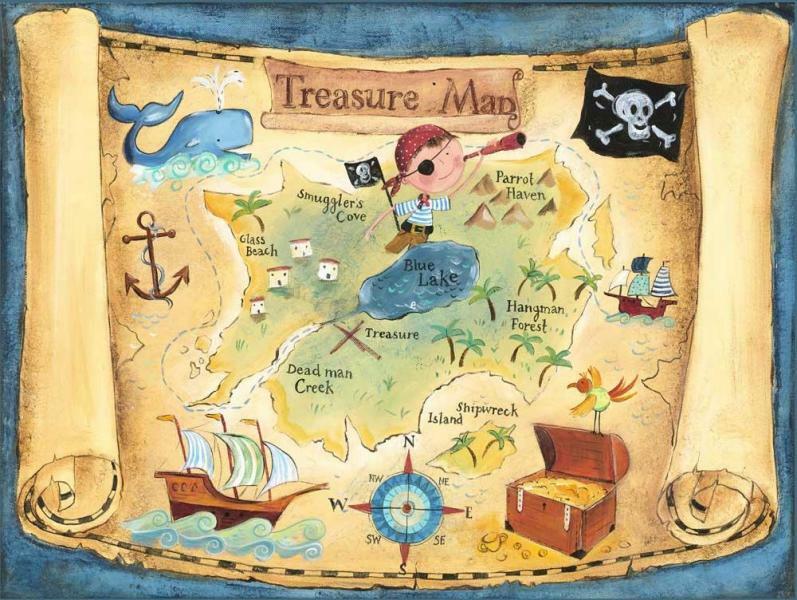 I’ve got the map and I’m ready to go searching…. Brian has been instrumental to the formation of the modern day Yankees. He’s drafted stars such as Robinson Cano, Ian Kennedy, and Austin Jackson and then used his chips (Kennedy, A-Jax) to spring a deal for one of the greatest outfielders in the game, Curtis Granderson. 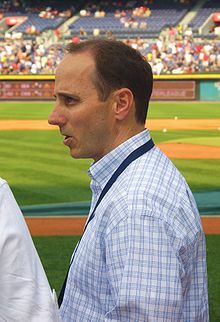 Since being named GM in 1998, Cashman’s Yanks have won 4 World Championships and have 6 AL Pennant Titles. He spent his money, for the most part (A.J. BURNett I’m talking to you) wisely, and without him the organization wouldn’t be where it is today. 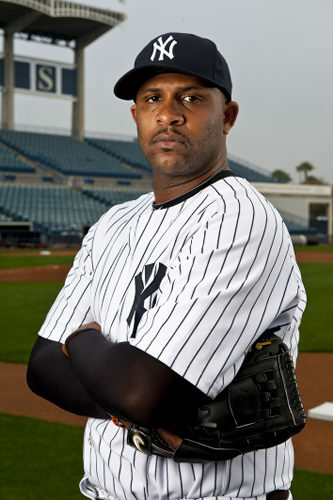 Without CC Sabathia, the Yankees rotation this year would have been anchored by A.J. Burnett. Scary, isn’t it? That’s why it is instrumental for the Yankees to resign CC for next year and beyond. Coming off consecutive 19 win seasons the price will be steep, but being as CC is entering his age 33 season, it is imperative that the Yankees lock him up for 5 years, no more, no less, so that they aren’t straddled with a pitcher on the decline in his age 38 season. 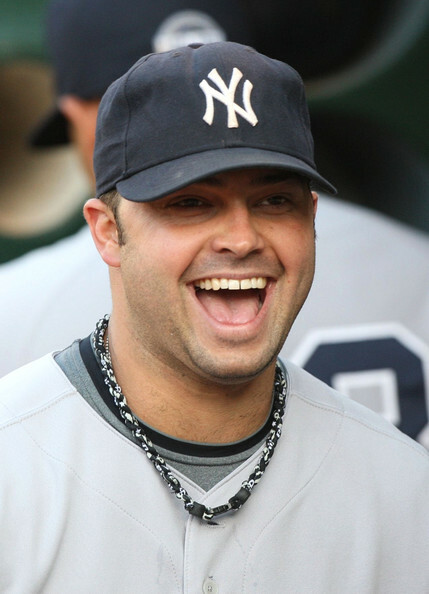 The Yankees need Swisher, and Swisher needs the Yankees. 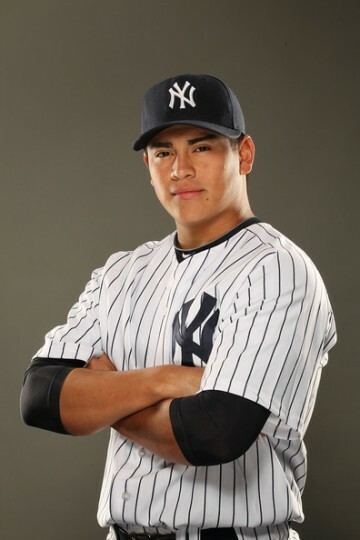 His egregious personality brightens the Yankees clubhouse and in comparison to a guy like Carlos Beltran, $10.25 million is worth spending in order to keep Swisher for another year. Also a stat line of .260 · 23 · 85 is pretty good if I may say so myself. 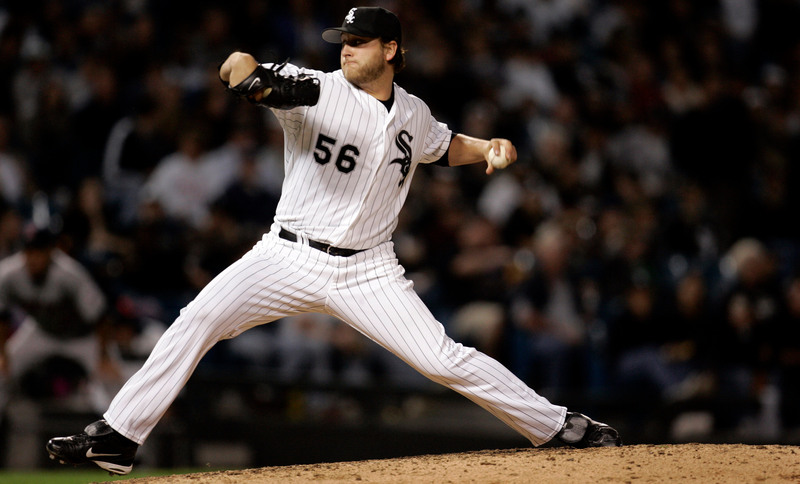 Buehrle is exactly the type of pitcher that the Yankees desperately needed this past season; a semi-quality innings eater that can give you 180-200 innings a year with an ERA under 4. His stuff isn’t deadly, but his craftiness and precision is what defines his game. A 2 year deal ensures that there is not a lengthly commitment and the $21 million shouldn’t kill the Yankees, even if he posts a 4.25 ERA and 175 innings next year. Allowing Burnett, Betances, and Banuelos to battle for the 5th spot in Spring Training will bring out the best in the three, and show A.J. 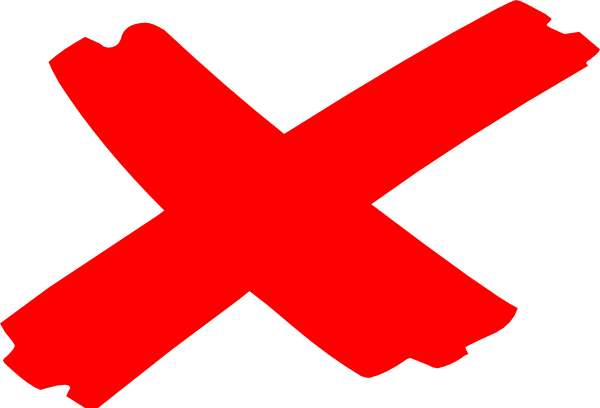 that just because he is expensive, it doesn’t mean that he is guaranteed a rotation spot. If one of the two young guns gets the spot, he will be regulated to long relief and the other prospect will return to the AAA rotation. If A.J. wins it however, Betances and Banuelos will return to the Triple A rotation until the inevitable injury occurs or Burnett is slumping. And with that, X marks the spot. 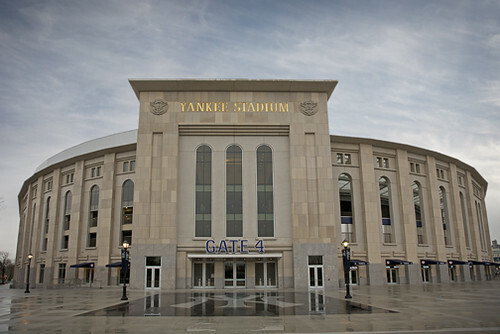 Next year: Yankees: 2012 World Series Champions!